Milana started gymnastics at the age of 5 by enrolling in a recreational class. She soon was invited to join pre-team, and began her competitive career at the age of 6 at San Mateo Gymnastics. As she turned 7, Milana was invited to join TOPs group. 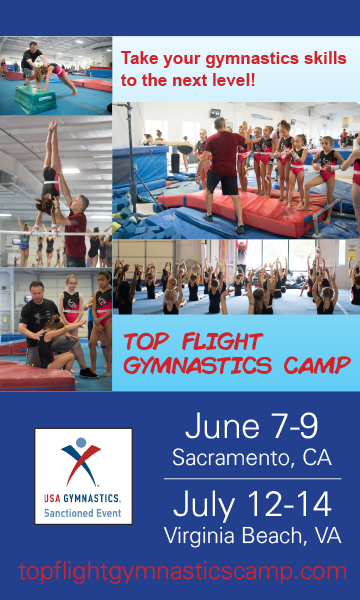 During the National TOPs Testing at Olympic Training center she got invited to Developmental Invite Camp.That year she also competed level 4 in spring and level 5 in fall.Milana became an absolute all-around champion at 2015 NorCal level 5 South State Championships showing the highest score of the meet (300 gymnasts total), and made State Team.In 2016 at the NorCal levels 6 & 7 South State Championships at the age of 8 Milana once again showed the highest AA score of the meet (450 total gymnasts), and again made State Team.That year she attended all 3 Developmental Invite Camps (with an invitation to come back in 2017).In spring 2017 at age 9 Milana had a strong level 8 season, making State Team, and bringing home AA silver from Region 1 levels 8-10 Regional Championships (with the highest AA score of all fellow level 8 NorCal gymnasts).In June 2017 Milana joins Developmental Camp led by Valeri Liukin and National Coaching Staff at Olympic Training Center in Texas.Two weeks following the camp Milana injures her left knee and withdraws from training. Now 4 months later she is still recovering, but she is expected to come back strong for 2018 season. Due to the injury Milana had to turn down invitations to join July's and October's Developmental Camps. During the National TOPs Testing at Olympic Training center she got invited to Developmental Invite Camp. That year she also competed level 4 in spring and level 5 in fall. 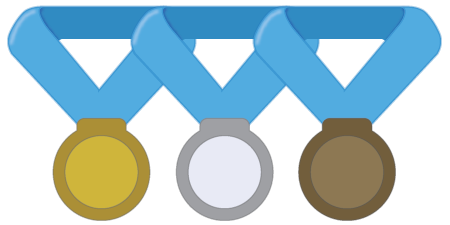 Milana became an absolute all-around champion at 2015 NorCal level 5 South State Championships showing the highest score of the meet (300 gymnasts total), and making State Team. In 2016 at the NorCal levels 6 & 7 South State Championships at the age of 8 Milana once again showed the highest AA score of the meet (450 total gymnasts), and again made State Team. That year she attended all 3 Developmental Invite Camps (with an invitation to come back in 2017). In spring 2017 at age 9 Milana had a strong level 8 season, making State Team, and bringing home AA silver from Region 1 levels 8-10 Regional Championships (with the highest AA score of all fellow level 8 NorCal gymnasts). In June 2017 Milana joins Developmental Camp led by Valeri Liukin and National Coaching Staff at Olympic Training Center in Texas. Two weeks following the camp Milana injures her left knee and withdraws from training. `Now three months later she is still recovering, but hopes to come back strong for 2018 season. Due to the injury MIlana had to turn down invitations to join July and October Developmental Camps.